The south east coast of Mallorca is indented with a series of pretty coves or calas, often edged with low pine-topped cliffs, and hiding little white sand beaches. These natural benefits have led to the creation of a series of resort developments which, for the most part, have been kept to a maximum of three storeys. 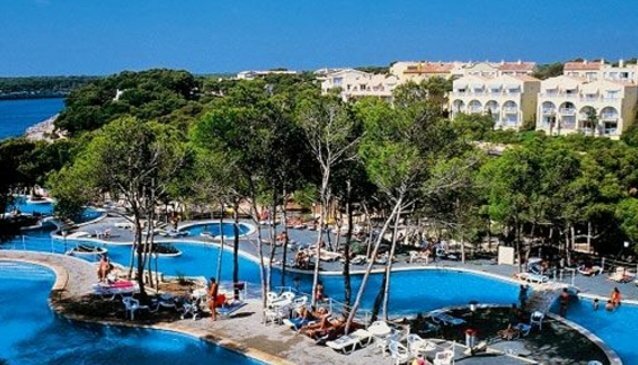 In between Porto Petro and the Mondrago Nature Reserve lies the resort complex of Club Cala Barca, spread over 25 two storey buildings set in extensive gardens.